Thankful for you all SALE! This time of year I like to tell you all how thankful I am that you support Chomas Creations. It has been 7 years now since this journey began and I have enjoyed every moment! You have all made me feel so loved and I've built a lot of friendships over the years in the crafting community. To share my thanks this Thanksgiving as well as Black Friday, Small Business Saturday and Cyber Monday you can use the coupon code Thankful to save 12% off in the Chomas Creations store. Thanks again to each and every one of you! I am off to visit family so shipping starts again on Monday! Any day is a good day when I get to combine my 2 passions! Getting crafty with getting oily! 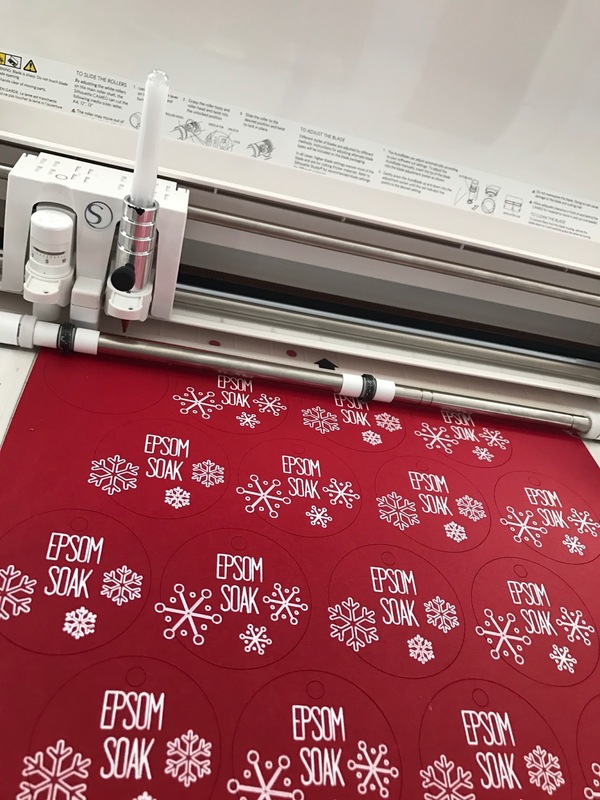 I am starting early on Christmas gifts and working on epsom soaks with Young Living essential oils as gifts. I used the Chomas Creations adjustable marker holder with the white Signo Uniball gel pen (my fav and available in my store here... white gel pen ) in the Cameo 3. I'm using the cut then sketch option which sure does save a lot of time! With the white gel pen I did have to turn down the thickness to 7 and the speed to 1. This pen does not need a lot of pressure and with the speed too fast it can smear. Like what you see and want to give it a try? Use the coupon code november16 to save 10% off in the Chomas Creations store! 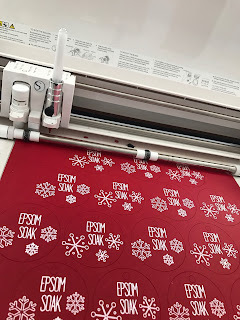 I've started making my own essential oil Christmas gifts early this year and needed some labels, so I used the Chomas Creations adjustable pen holder with the Sakura Gelly Roll gel pens. The recipes are posted below. These are the Sakura silver shadow gel pens. They are silver in the middle and look like they are outlined in a color. 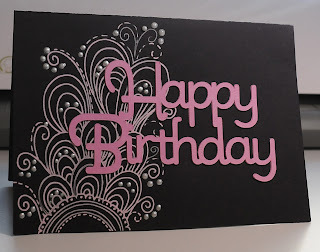 I used the Silhouette self adhesive cardstock with them. I slowed the speed down to 2 as they are very juicy pens and need a bit to dry so they don't smear, and the thickness to 10. Use the coupon code november16 to save 10% off in the Chomas Creations store! Fill jar rest of the way with epsom salt leaving a bit of room for shaking the jar! Add lid and give it a shake! Add 1 cup of mixture to a hot bath for a relaxing soak! 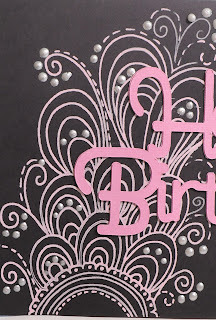 One of the coolest things about the Sakura Souffle gel pens is how they look on black cardstock! And they also look like they have a slightly raised texture. I used the Chomas Creations adjustable pen holder with the pink Souffle gel pen to draw the flourish background on this card. 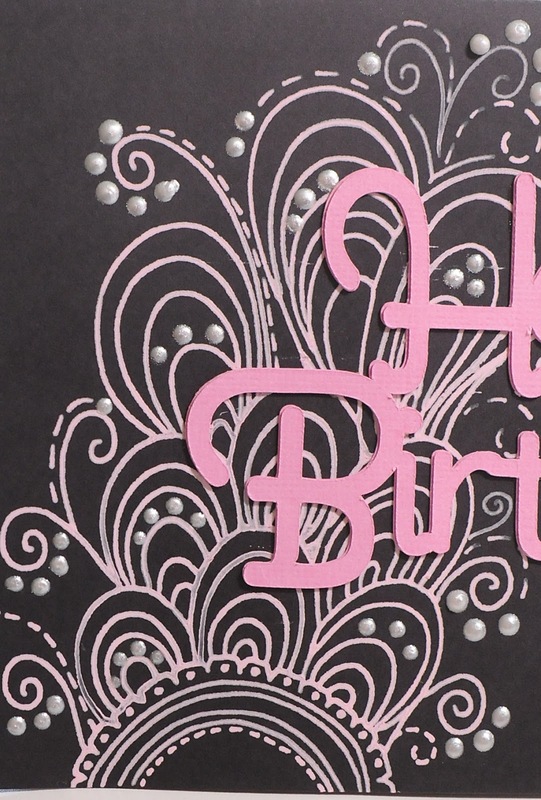 The design as well as the birthday sentiment are from the Silhouette Studio store. I added some Viva Decor to make the white raised images on this card as well. Want to make what you see on this blog? Use the coupon code november16 to save 10% off your purchase at checkout in the Chomas Creations store.